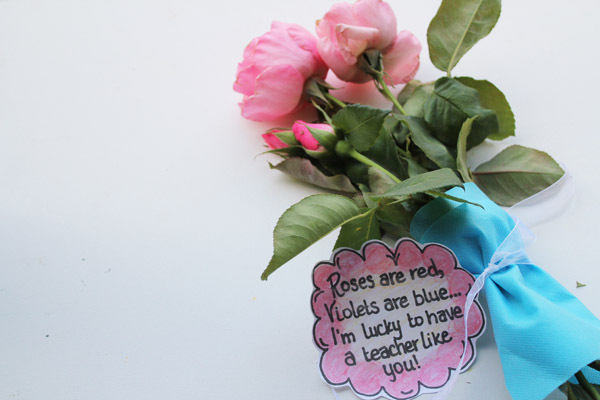 When I was little, I loved giving my teachers flowers. Pick some flowers from the garden, wrap up the base with some damp paper towel and tinfoil, and take them to school. 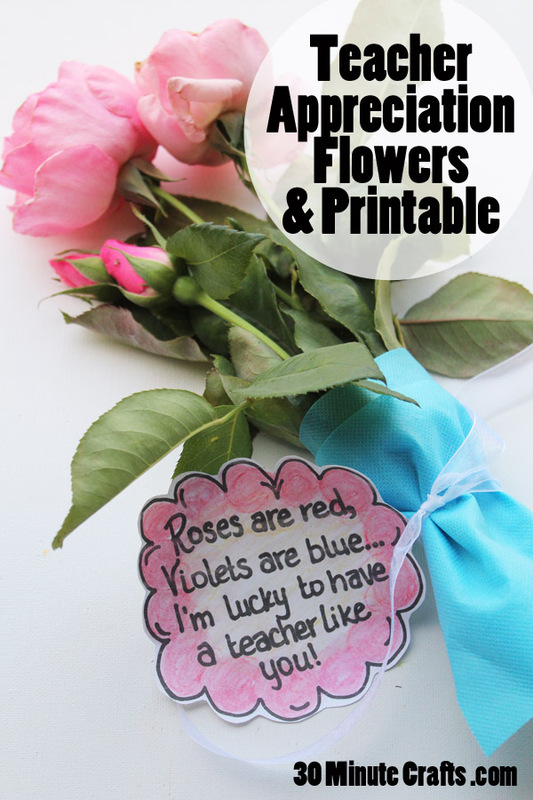 And the teachers always loved them… because who doesn’t like getting a fistful of flowers? Especially from a child so excited to give them? 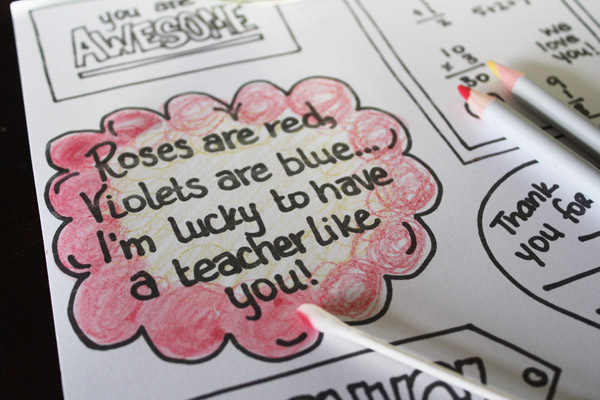 So, for Teacher Appreciation Day this year, consider sending some flowers, along with this sweet printable, that your child can color in. 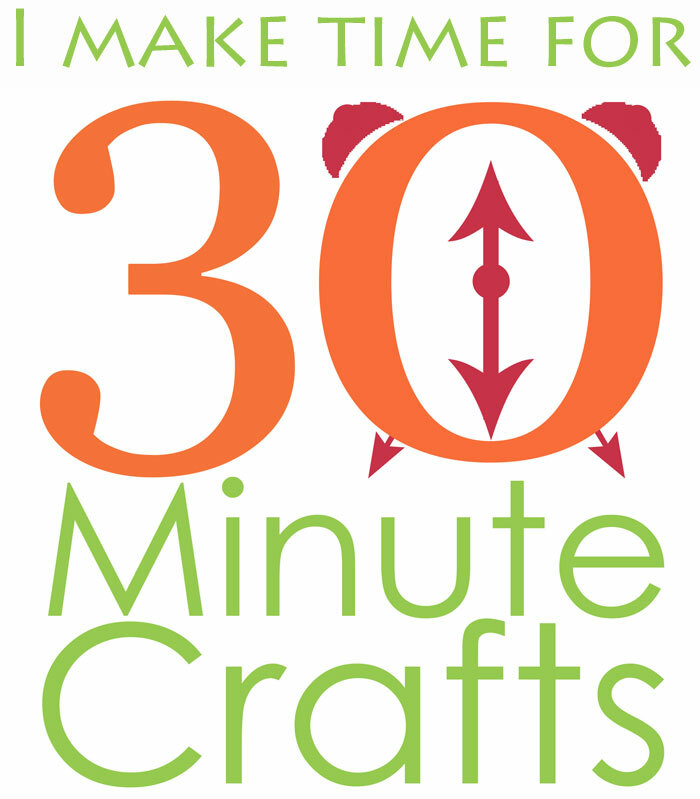 All week long I’m going to be sharing more fun and fast craft ideas for Teacher Appreciation Day and Teacher Appreciation Week, along with my Craft Lightning co-host Angie from The Country Chic Cottage, and our Guest-host Jessica from Mad in Crafts. 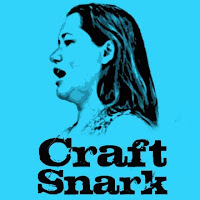 We’re going to share a new fast and fun teacher appreciation gift each day, and share some fun teacher appreciation ideas from our crafty friends around the internet! 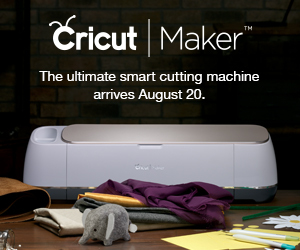 Cut out the printable, and color in. 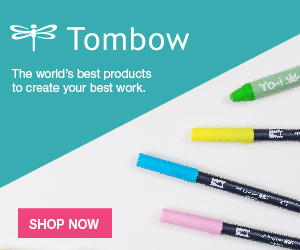 I used watercolor pencils to get a super simple watercolor look. 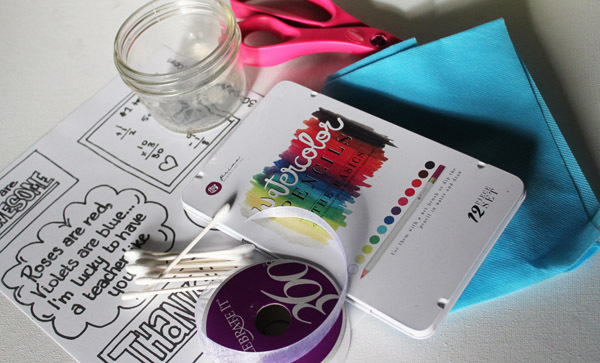 Blend the color with a damp q-tip, then allow to dry. 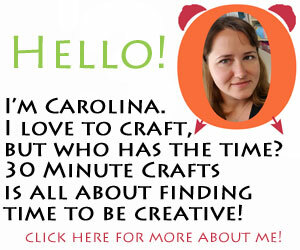 Wrap any pokey stems with the Oly*fun and a ribbon, add your printable poem, and you’re done! 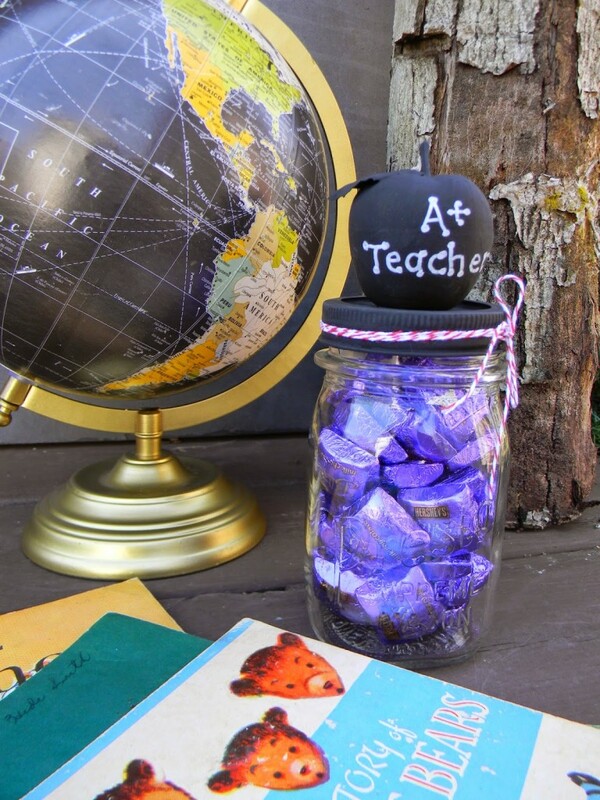 This adorable Mason Jar Teacher Treat from Artistic Endeavors. 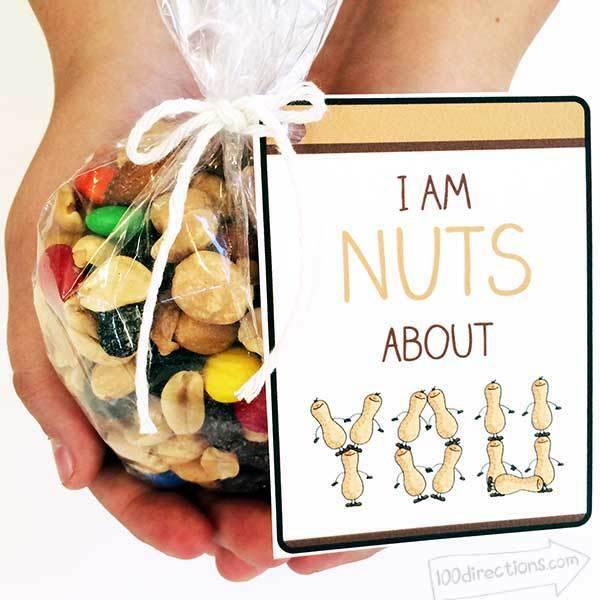 A super sweet I am NUTS about you printable and snack mix from 100 Directions. This Owl Themed Teacher Appreciation Gift from Yesterday on Tuesday. 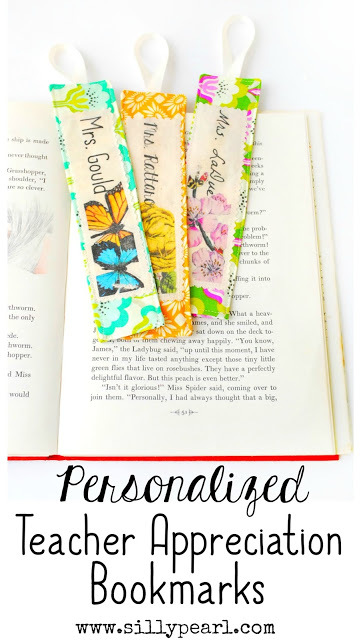 The Silly Pearl’s cute Handmade Teacher Appreciation Bookmarks. 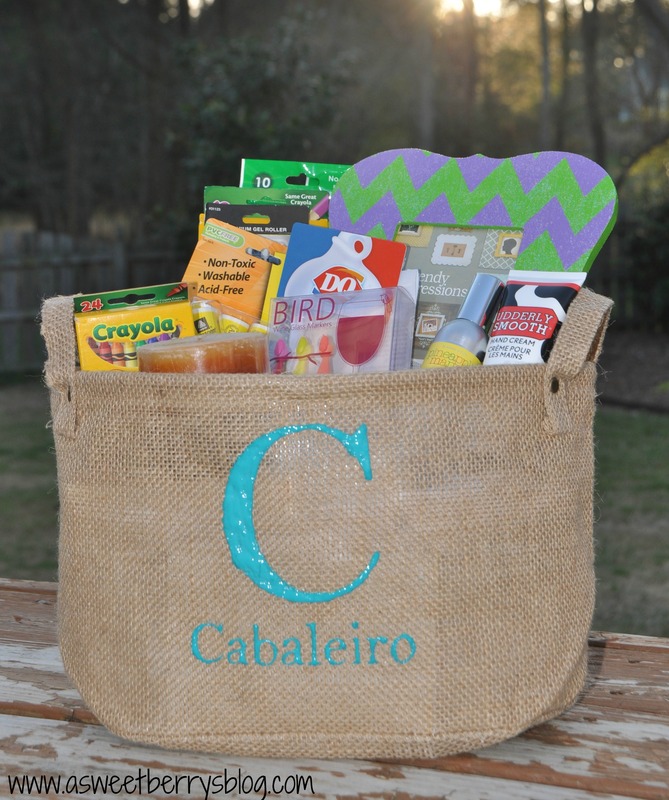 A Sweet Berry made this great stenciled monogrammed tote. 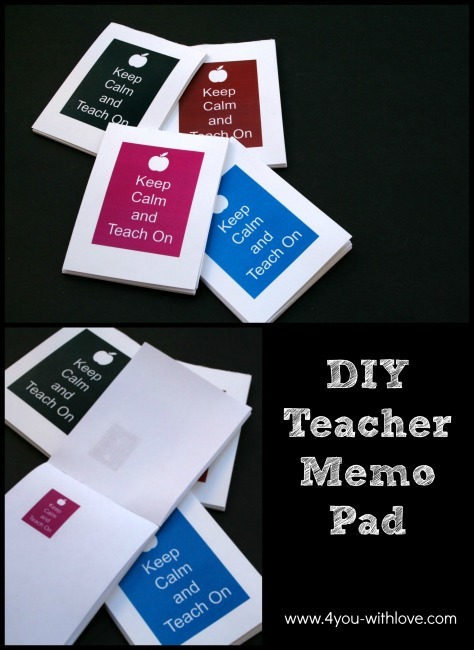 These fun Teacher Appreciation Notepads were whipped up by 4 You with Love. 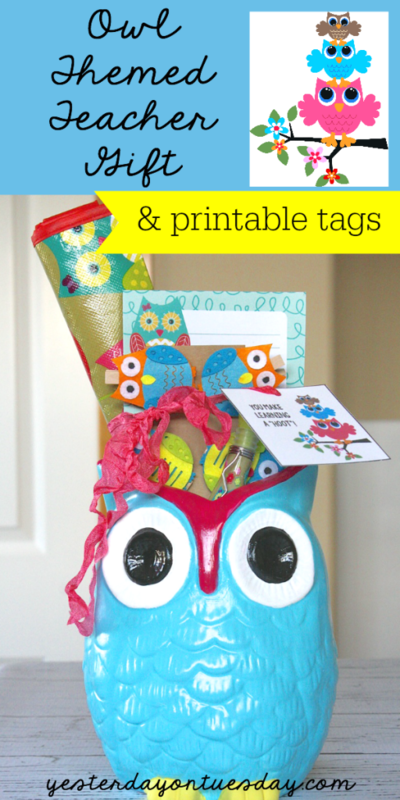 And can you believe how cute this Teacher Appreciation Gift Box from 365 Days of crafts is? 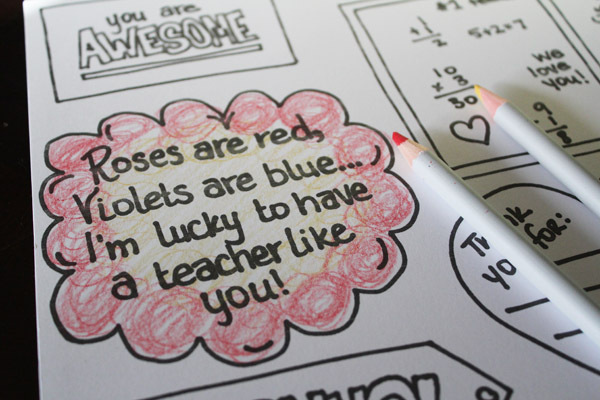 Be sure to come back tomorrow for more awesome, fast, and fun Teacher Appreciation gift ideas!